同事想在 VirtualBox 上建立 CentOS 7 虛擬環境，並在 VM 中使用 Docker，在安裝 Docker 時一如往常相當順利直到實際建立 container 時卻遇到無法連線：Cannot connect to the Docker daemon at unix:///var/run/docker.sock 的提示訊息，重啟 Docker service 時也失敗並得到新的錯誤：Job for docker.service failed because the control process exited with error code. Jun 06 01:00:00 localhost.localdomain dockerd-current: time="2018-06-06T01:00:00.466231528+08:00" level=info msg="libcontainerd: new contai...: 3515"
Jun 06 01:00:01 localhost.localdomain systemd: Failed to start Docker Application Container Engine. 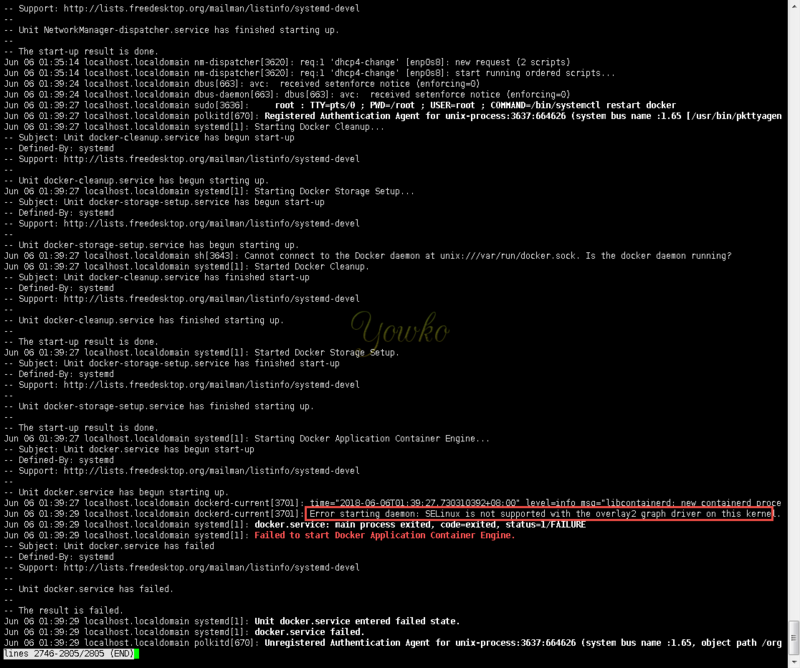 Jun 06 01:00:01 localhost.localdomain systemd: Unit docker.service entered failed state. 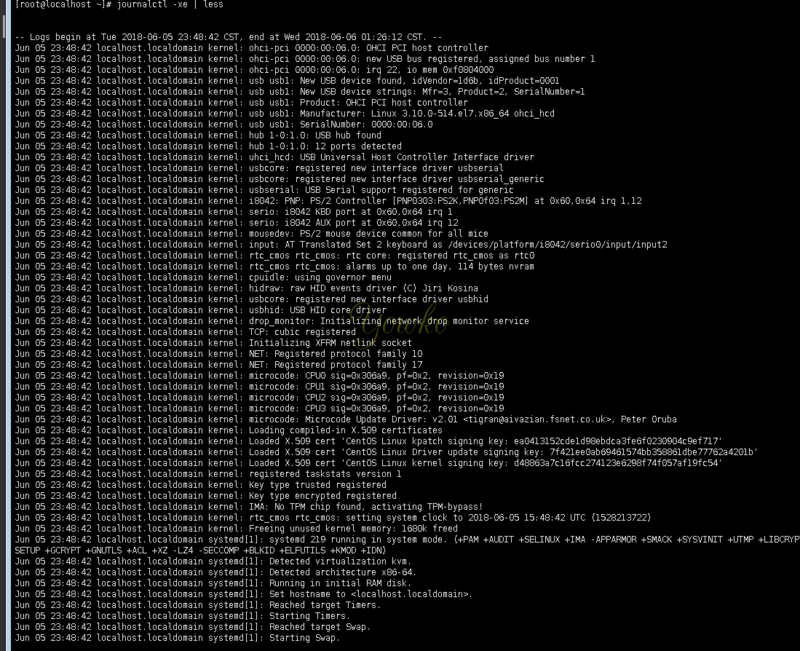 Jun 06 01:00:01 localhost.localdomain systemd: docker.service failed.